Today i am gona go into Mandarin Pop. Sorry, not the latest one. It might be the age, i dont know. Anws, m not so keen in the Mandarin pop nwadays. I do know who are the usual entertainers, but just not interested and i have lost clue on all the new songs and etc. So, i am gona be so old school and post some of the songs from 90s by Daniel Chan. LOL, i remember he was the only 1 that made me broke my own principle of not buying albums. I bought the one and only CD and it was Daniel Chan’s. He looked like a prince. I mean, he still looks ok now. Here are some of my fav…. Same clip lah, but in Chinese, not Cantonese. haha. Very handsome right? My childhood favourite. Actually, not exactly favourite lah, i dont really have idols. I just listen to whatever thats nice. 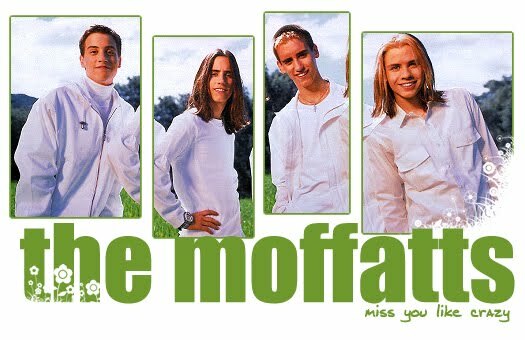 Just in case you do not know who the Moffatts are (they are a group of Canadian boys), they died down quite soon after that 1 hit Wonder – Miss you like crazy. Quite radio friendly lah that song. HAHA! Old School or not? Ok, i know, my age is revealed. I know. I feel people my era really look better anyway, LOL. Of course, ntg beats my dearest. Today, my mood is ok ok, is just the beginning of the day, so i cant really tell. But, by Faith, i am declaring that today is my best day as yet. I have a wish today and my prayer for today, it is with my CG leader Eng Han. He is a man of Faith, of integrity. I do not want to start all over again on the Church issue, but if you see me now and then (then as in i duno, 1 yr ago, 10 yrs ago), you should know how much the Church has helped me. I might not be the most spiritual or well behaved person/Christian but you cant deny i have improved as a person and in life. I thank my Church, my CG mates, my Pastor, my leader. Of cos, my family as well. Just that, i owe alot to Eng Han, he has never stop caring for me. Whenever i need help, i just hafta make a phonecall, and he & his wife will try their best to attend to me. Today, is a day i never expect to have, i have never imagine them, as high flyers themselves, will need help from us and al the help they nd from us is just prayers. But i guess the Greater man that do greater things has his trials to face. I remember a year ago, i was a wreck. Eng Han and his wife, never hesitate to take time off their busy schedule to visit me and do deliverance on me. I was a new person ever since. Call it psychology effects, but to me, i know God use him well. I feel God, i know God more. And lastly, despite my small giving(comparing to some) or (in the past-no giving ($), he has never treated me unfairly. He treats me with care like hw he treated other business men and reputable people with status. He is that ever humble leader, that always wana find out more about my life. Although sometimes, he does forget what i told him, i mean, if i have a group of 100 over people, i might not remember everyone’s life so thoroughly too. But i am thankful, he still remember pieces of my life and will recall about the stuffs i said. I was extremely honoured to be with him during this trial, to pray for him and to be named as “a fruit” of CHC. I pray for all to be well today, and for God to be the JUST here, and may Lord bless his family and himself with peace and strength, may Lord open the eyes of the people and the law, for Law was 1st made by God. May the QC appeal be approved for this wonderful man. Thanks for reading (and listening)! i will be back for mre updates yea! *Eng Han, u gave me this wonderful verse before and i now want to give this verse to you too. I know you will be blessed, despite the allegations, those that knew you b4 the incident, those that know you during the incident, are all with you through the incident. I hope to encourage anyone reading this, this verse is for you too. Dont fear. Hi Hi. i would like to discuss a word that we Christians usually use, which some Christians dont even understand, which most non- believers do not know (what it’s meaning). I am not trying to educate, but would like to share some knowledge that i got from googling, from sermons, from day to day experiences. Like i said at the beginning of the blog, really would wish to share as much as i can to glorify my dear God. Alright, the word is AMEN. I once questioned, as a non believer in the past, even after i turned Christian – What is Amen? Why is there an ‘Amen’ at the end of a sentence or prayer? Is it just some ‘lingo’ or ‘slang’ used by Christians? Is it supposed to be ‘God bless you’? Is it just cool to add another word into a prayer, or sentence? Well, the answer is actually short and simple. With credits and thanks to http://www.christiancourier.com/. You may read more in this website. 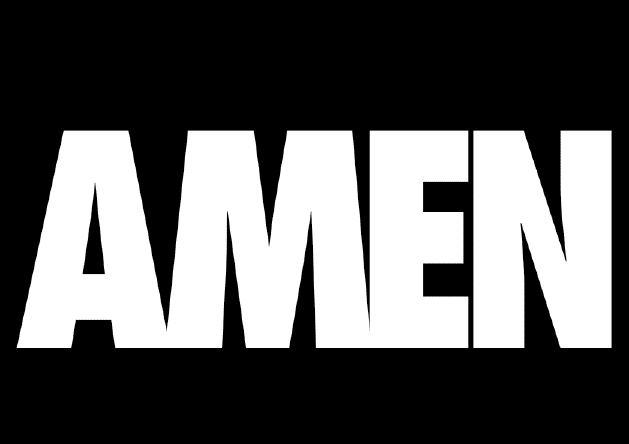 The term “Amen” is common to both the Old Testament and the New Testament, and it has a variety of uses, depending upon the context in which it is found. The Hebrew word, amen, means “surely, indeed, truly.” It derives from a root form, aman, which signifies “to be firm, steady, trustworthy, faithful” (again, the context can suggest which of these shades of meaning is most appropriate in a particular setting). The following is a sampling of the major uses of this important word. Ok, thanks for reading! May the Lord be with you, Amen!